It's a cold hard look at the truth that forces company founders to make hard decisions that lead to stories such as Steve Jobs cutting a number of product lines on his return to Apple in 1997, or Richard Branson signing Janet Jackson for the most amount of money ever offered to a singer at the time. It's this key thing, the fact that, the founders of these great companies, all, made an honest assessment of the — then — current state of business that helped chart the course of success for the future. In fact, in every field, it's this level of discipline that often makes all the difference. Top performing sprinters start with measuring their current best time, compare it to the world best, and then meticulously work on improving every aspect of their performance until they're ready to compete on the world stage. To be clear, such discipline doesn't necessitate difficult or extreme decisions at the end of an assessment. The most important thing is that an honest and realistic assessment of the bigger picture is made. That's what matters. The challenge — however — is making an assessment that: a) isn't subjective and b) is done in the shortest amount of time possible without compromising its validity. 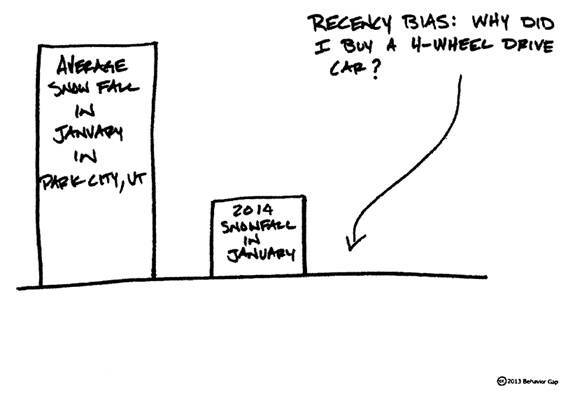 Subjectivity: Founders often have a recency bias. I.e a tendency to be lulled into the trap of assuming that, because something happened yesterday/last month/last year, it will repeat indefinitely into the future. Being so close to the day to day running of the business, founder assessments are often found at two polar extremes due to such behavioural tendencies. Their assessments are either incredibly optimistic, when business is doing well, or more pessimistic than is necessary when business is struggling. This means, that often, plans that are borne off the back of such assessments are either too ambitious or not ambitious enough. Time. As the old adage goes, of course, time is money. The longer such an assessment takes, the longer the business suffers before corrective action can take place. This is true even for businesses that are already doing well because they may be under-performing compared to their maximum reachable potential. But hiring a third-party, such as an auditor or a consultant to perform the assessment to negate founder bias can be a time-consuming task — and doesn't necessarily do away with biases altogether. First of all, any third-party contractor needs time to get to know the stakeholders, understand the market the business operates in and then understand its key strengths and weaknesses, and even then any assessment made can and will be, most likely, subjective. It's just human nature. Any system or method you employ to make a big picture assessment needs to both account, or adjust for, founder recency bias and must form a conclusion in the shortest amount of time possible. 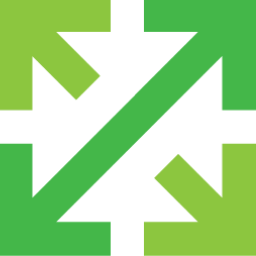 At Stratagem.io when taking on new clients, we faced the same two problems. When helping clients come up with strategic solutions, the amount of time needed to form satisfactory conclusions resulted in engagement fatigue by the time the assessment was completed. (Engagement fatigue is the term used when the client's willingness to invest time and resources in working with a strategic partner is demonstrably less than when the engagement started) Such fatigue is often what leads to engagements to end much sooner than expected or originally discussed. The net result of which is: the strategic partner is unable to demonstrate a successful portfolio to other prospective clients in order to win more business, since the previous engagement was never seen through to completion. That may not seem like a big deal on face value, but it's knock on effect is incredibly important, because the client experiences a negative return on investment . This harms both the client and the consultant due to its effects on referrals, which in turn affects the market as a whole as clients begin to lose faith in consultants that could have helped but now are unable to. It's a lose-lose situation. So we set out to create a solution that solves both problems in one fell swoop. The solution — as it happens — was rather simple and elegant. We built a simple survey that founders could fill out themselves with questions based on our established heuristics. Heuristics are probably the most used concept in our business, and definitely one we recommend heavily to our clients. You see, after working with hundreds of businesses around the globe over the last few years, we had started to identify certain patterns. For example: In our first year of business, we started to notice a pattern that if any prospective client was more than 8 minutes late to the initial meeting or re-scheduled on the day of the meeting; they were unlikely to go on to be a satisfied client. We hypothised that in such situations , it was probably in the interest of both parties to abandon any further sales conversations. It seems like an odd correlation, but the reason this came about is that if a business leader was so pressed due to juggling multiple priorities that they couldn't make it to a meeting on time, then there's a very good chance that no matter how much strategic wisdom we impart, they wouldn't have the capacity to do anything with it, which, inevitably, would lead to dissatisfaction due to the poor ROI. After all, it's all about execution. So we put the heuristic to the test by running simulated tests with prospects. We would continue with sales negotiations as normal and compare against where we thought customers were likely to end up on the satisfaction chart and found our heuristic was leading to more than 90% accuracy. Since then it has been a permanent part of our sales process (among other heuristics as we need to account for the outliers too) We spend less time with prospective clients we can't win or satisfy and more times with those that we can. A direct impact on our sales conversion rates, brand and profitability. One of the reasons why we have a high percentage of success with clients (those that pass through the filter) is because we take a framework based approach in helping our clients create growth. It's all about fortifying the core tenets of a business to make its foundations stronger. 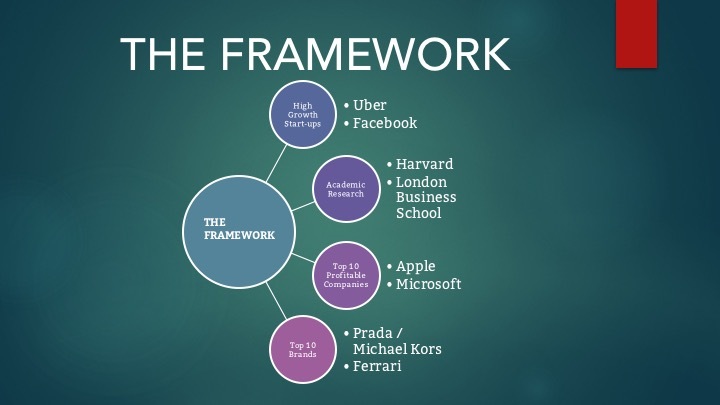 Based on our own observational insights of the fastest growing companies in the world, the latest in academic research and our own experiential wisdom we have developed a framework that consists of 8 foundational pillars. So any assessment made had to cover these 8 foundational areas. Then, while we wanted the founders and business leaders to fill in the survey themselves since they're closest to the business we had to come up with a set of heuristics that would adjust for their recency bias while still allowing us to get the insight that we needed. This was easy. We went back and re-visited all our conversations as part of our engagements and noted down what primary and secondary questions we had asked our clients to get the insights we were looking for, and which question in particular gave us the ultimate insight. By curating all the questions that got us the deepest insight while, to our minds, adjusting for recency bias, we created a list of questions we could ask each business leader The result is that founders and business leaders can now fill in a strategy calculator that takes them less than 3 minutes to complete on average that give us, and them, a very good picture of the state of their current potential. 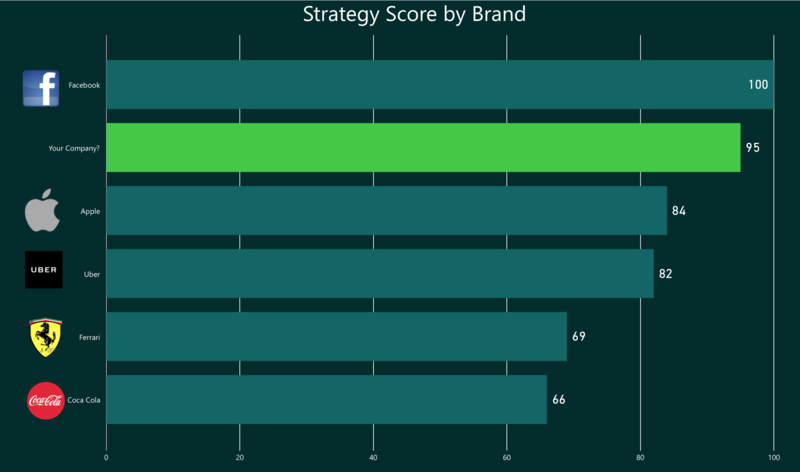 By asking existing clients to go through the strategy calculator we compared our qualitative assessment to ones from the strategy calculator and found it to have a high degree of accuracy. Of course, it's something we'll always tweak over time. Try the strategy calculator for yourself and see where you rank because it's brilliant for helping you zoom in on where you need to be focusing right now. The scores are weighted out of 100, where companies like, Facebook, rank at 90+ to show how they compare and how far you need to go.